Do you regularly tow a trailer or other vehicle?  This course covers the competence required to drive and manoeuvre a trailer and includes identification and confirmation of work requirement, preparation for work, safe driving, manoeuvring and parking trailer, disconnecting the trailer from the tow vehicle and completion of work finalisation processes, including clean-up and documentation. The work requires individuals to demonstrate judgement and problem-solving skills in managing their own work activities and contributing to a productive team environment.